More 5-star reviews on Google and Facebook, making you stand out against competitors. Create win-back campaigns for slipping away customers or loyalty campaigns for your VIP customers. Through text-based messaging, your customers feel you are always there when they need you. Make your promoters work! 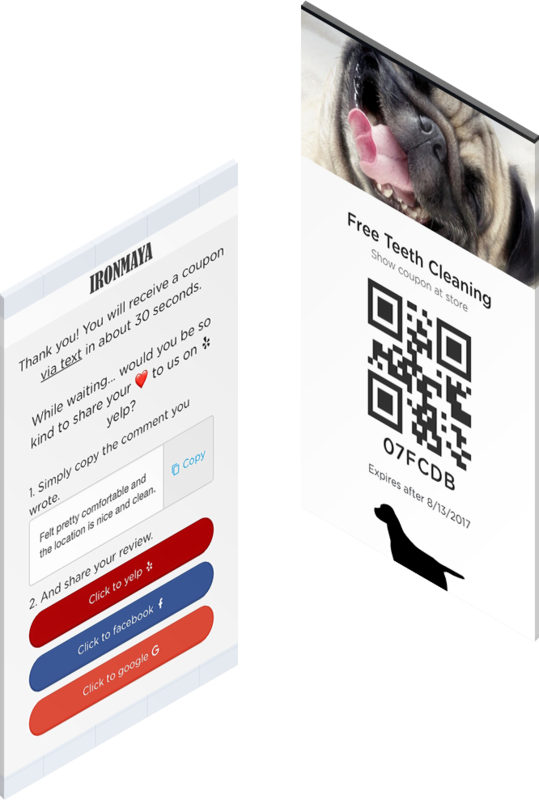 Smiley helps you design a refer-a-friend program that encourages loyal customers to promote your business. Smiley helps you enhance front desk efficiency. Not only that, you also capture detailed information of your visitors. 🏆 #1 All-in-one text message marketing platform for local business. Through check-in form, Smiley helps you collect useful information from your customers, enabling more personalized services. 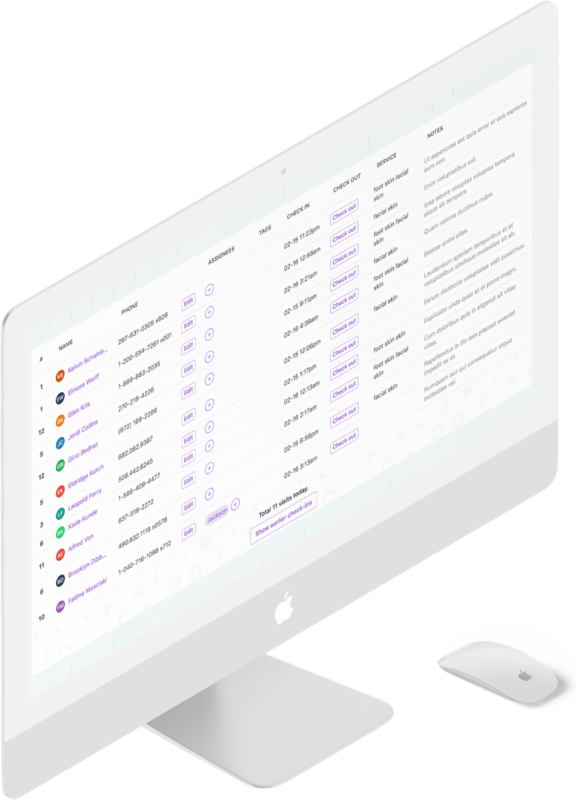 Not only does Smiley help you collect basic customer information, you can add and customize your own intake form to easily collect more information. Visitors will read and sign your agreement form on-site, and they will receive a copy of the agreement instantly after signing. With agreement being digitalized, Smiley remembers visitors who have signed the agreement. They are only prompted to re-sign if you’ve edited your agreement since their last visit. You can assign therapists or technicians to a new visitor and track the Net promoter score® of the workers to improve services. Time to get rid of paper visitor logs, Smiley's cloud-based visitor management system displays your visitor data on a real-time dashboard, enhancing your front desk efficiency. Through Smiley's text-based messaging, your customers feel you are always there when they need you. Save the most frequently used replies, and respond to and engage with customers faster. You can send personal coupons to individual customers, making your customers feel they are important. You want all your customers to be your promoters. Join many big companies like Apple and PayPal to use NPS® to measure customer satisfaction. Smiley intelligently guides your adovocates to write 5-star reviews on Google, Facebook, making you stand out against competitors. Smiley's coupon automation rewards a customer for first-time visit, encouraging first-time visitors to become regulars! You can send blast SMS campaigns to your subscribers, which are collected using Smiley's check-in feature. Re-engage slipping-away customers, making them come visit again! 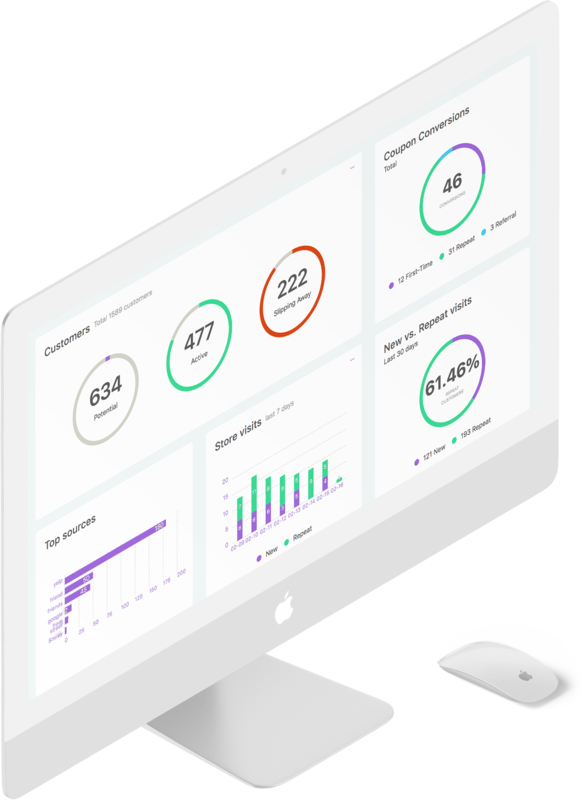 Smiley's dashboard shows you insightful analytics, such as repeat visits rate, NPS score, active vs slipping away customers, etc., helping you make better decisions. 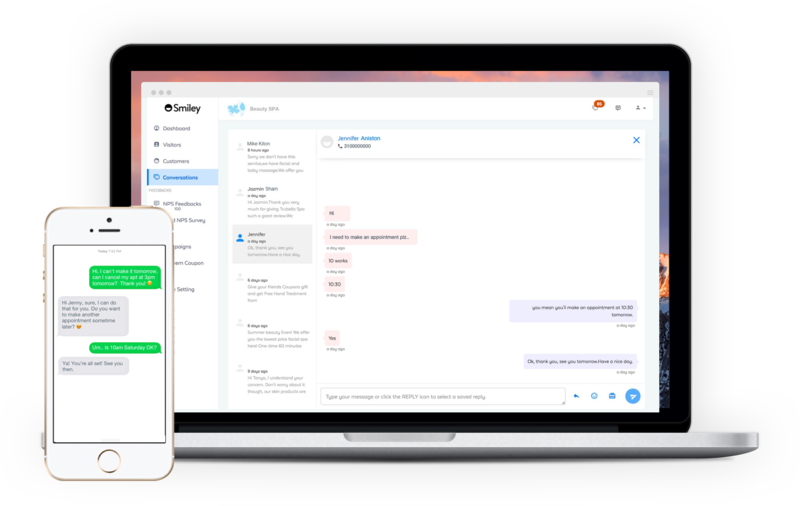 Smiley manages your customers, records their activities, and segments them based on their behaviors. Smiley helps you filter your customer using various attributes of the customers such as check-in behaviors, tags, NPS, etc. Easily search your customers by tag, name, phone, and notes within different customer segments. Want to see how Smiley can help you? Made with ♥ in Los Angeles. © 2016–2019 joinsmiley.com, Smiley is a product of Smiley Science Lab Inc.